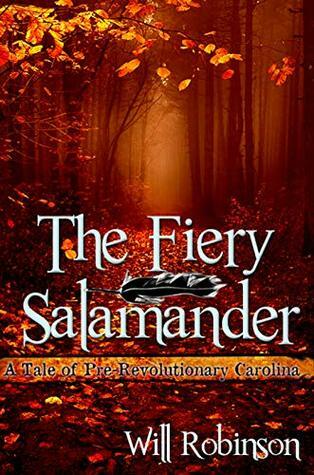 To ask other readers questions about The Fiery Salamander, please sign up. I enjoyed this book despite a few distracting grammatical errors. I liked learning about what life was like on the frontier with the tensions between the settlers and the different Native tribes. This story really highlighted how hard life was back then. I liked the main character, James. The characters all seemed very realistic. Set in the year 1763 in the British Colony of Carolina. This is the story of 14 year old James Kirkpatrick, his extended family and close-knit neighbors. Life is hard for these back-country Scots-Irish settlers who eke out a Historical Book Review: The Fiery Salamander by Will Robinson. Independently published on 13 January 2019. 417 pages. Book 1 of Back Country Novels. I was given a copy of this book in exchange for a review. The opinions given in this review are mine alone.